Werewolf Shoes: Chances are you won’t find any werewolf shoes at you local Payless, but you can always get some custom ones like this pair here. Pretty kickass right? I totally have to get me a pair of those. 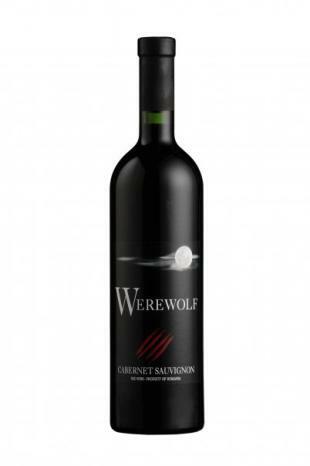 Werewolf Wine: You may have seen Vampire wine at the grocery store, it’s hugely popular – but where’s the werewolf wine damnit!? Here it is! Yup, Tri-Vin has hooked up the booze-lovin’ werewolf fans with an assortment of werewolf chardonnay, merlot, pinot noir and more. Patch Together: Patchtogether.com has werewolf toys and shirts, but there’s a twist. You see, an artist submits their artwork and then the viewers, like you and I, vote on which pictures we want made into either a toy or shirt. We have the power! The site already has some awesome wolf-y items you can buy, and if you want even more then make sure to vote for the werewolf pictures you like and you may just get it. Werewolf Coffee: Yay! Coffee coffee coffee coffee coffee!!! Can you guess what my addiction is? Coooooffeeeee! Raven’s Brew has created some Wicked Wolf coffee for us wolf-loving caffeine addicts. Werewolf Music: If you’re looking for a gothic symphony then I highly recommend checking out The Wolfman soundtrack. Danny Elfman captures the mood and tragedy in the flick perfectly with this masterpiece. It’s just the thing a werewolf fan needs while they stare into the full moon. Werewolf Definition Tee: You know, for those people in your life that are a bit confused… or stupid. Show your werewolf love in a wonderfully articulate manner. You can buy it here. And there you have it werewolf fans, some awesome goodies to show off and enjoy!